I’m not sure which is more surprising: hosting a new podcast about food, or making kale ice cream. But they have a lot to do with one another this week. The new podcast is called Why We Eat What We Eat, and the first episode, out tomorrow, tackles the strangely swift rise in popularity of kale. Last weekend, I decided to make kale ice cream, since one of the discussions around the leafy green in the episode had to do with its versatility. It’s easy to grow, easy to cook, and it goes with everything, right? Alright, I don’t expect anyone to actually go running to their stoves to steep some kale in cream and then churn it in their ice cream maker. But I do hope that you’ll give the podcast a listen. It’s a new venture for me, as the show is produced by Gimlet Creative and brought to you by Blue Apron. A new team, new theme music, and whole new process. But the subject couldn’t be closer to my heart: exploring why we eat and cook the foods that we do, wherever, and whoever we are. Since kale is a newer phenomenon that wasn’t a part of my childhood suppers, just how did it become a staple in so many of our diets—and food blogs? In the episode, this question takes us on a splintering trail, along the way passing grassroots activism, celebrity fetishism, and a web of actual deceit. Emerging from the thicket of this mystery, we arrive at McDonald’s, where a new sandwich stuffed with baby kale and spinach instead of lettuce seals the deal for kale’s place in today’s mainstream. It only takes about 25 minutes to listen to this story, but it took many hours and many people to produce it, and I’m humbled to be a part of this ongoing journey. Telling stories through food and how to cook it is favorite thing to do (besides just eating), so it’s a real thrill to try this through a new medium for me: the narrative podcast. 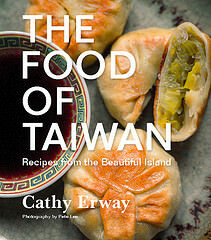 In upcoming weeks, we’ll be unraveling more subjects near and dear to the home cook, like potlucks. But you’ll have to tune in or subscribe to the podcast to get the whole stories as they come! And while you’re tuned into the first episode, on kale, I hope you get inspired to make many more things with the leafy green—the likes of which nobody has yet seen! In the end, I’m not sure if this ice cream was kale’s best performance. (It was no kale chips, unfortunately.) But it was fun to give it a go. I decided to give it a more chunky, rustic look by using minced pieces of blanched, squeezed-out kale. Hence, you could really see the kale-ness of this ice cream, but whatever flavor the leaves may have imparted into the cream was subtle, perhaps not unsurprisingly (it isn’t very aromatic, unlike, say, basil—a great ice cream flavor). But hey, it’s kale. And I think we mostly eat it for reasons other than taste. 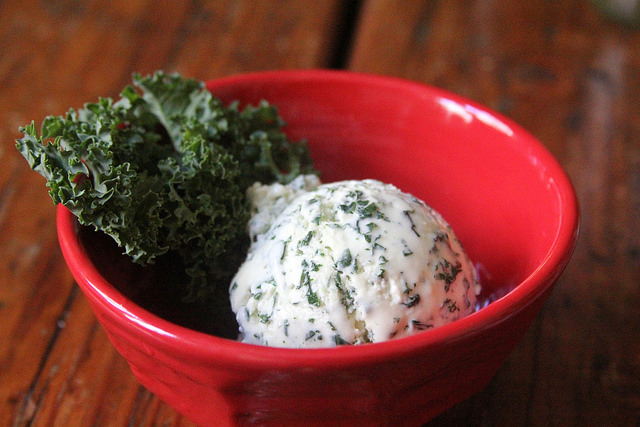 Check out Why We Eat What We Eat Episode 1 for more on that, and here’s your unlikely kale ice cream recipe. Bring a large pot of water to a boil. 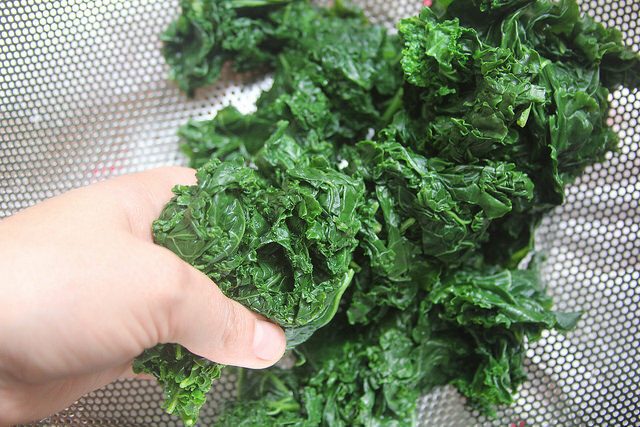 Strip the thick stems from the kale leaves and discard; you should yield around 4 packed cups before cooking (or about 2 cups after cooking and squeezing out). Prepare a bowl of ice water on the side. 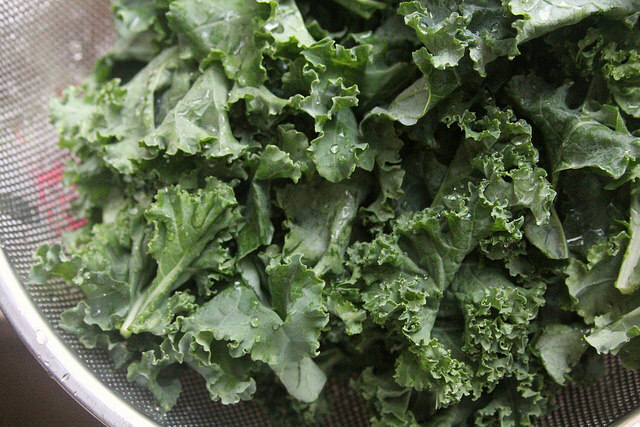 Drop the kale leaves into the boiling water and stir; cook for 30 seconds, then remove from tongs and place immediately in the ice bath to cool completely. Once cold, drain the kale. Then create balls with the strained leaves to squeeze as hard as you can to extract as much liquid as possible. Leave out to dry while you prepare the rest of the steps. Beat the sugar and eggs in a large mixing bowl as fast as you can until the mixture is lighter in color and fluffy. Meanwhile, heat the milk and cream in a pot over medium-high heat, watching closely and checking to make sure to turn off heat JUST before it can boil. 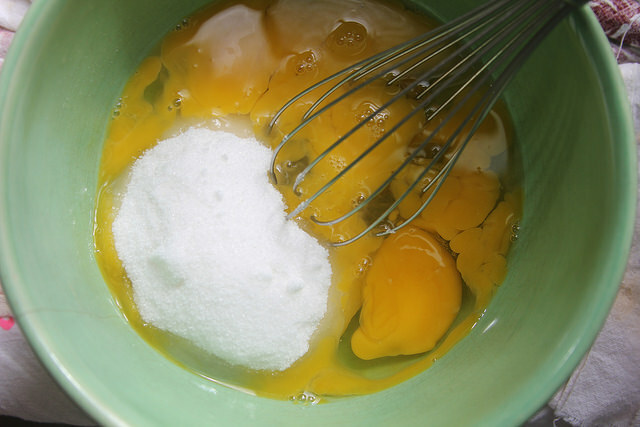 Temper the egg yolk mixture by adding a small spoonfuls of the hot milk mixture at a time, while whisking, until about half a cup has been added. Now, you can transfer the egg mixture to the hot milk/cream mixture in the saucepan and stir constantly while cooking over medium heat until the mixture is just thick enough to coat the back of a spoon (about 8 minutes). Do not let boil. Transfer to a bowl and let cool for about 10 minutes. 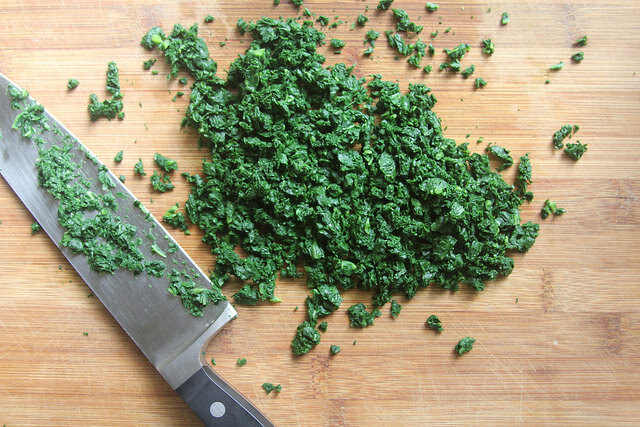 Stir in the rinsed, drained and very squeezed-out kale leaves and let the mixture cool completely before covering in an airtight container and chilling in the refrigerator at least 6 hours, or overnight, until completely chilled. Follow your ice cream maker’s machine to churn the mixture into ice cream. Wow! I have never heard about something like kale ice-cream. A nice dessert to make my kids and I eat more veggie. Thank you for sharing the recipe! Such a great place where you can get online fallout shelter cheats completely free of cost. Very healthy ice cream, isn’t it?